I learned a neat math trick that will only work this year. Take the year you were born (the last two numbers) and add it to the age you will be this year on your birthday. It will always equal 111! It works every time, but it will only work this year! Does anyone know why this works??? 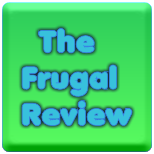 Newest follower from the Frugal Friday Blog Hop. Also following via Networked Blogs. I hope you take the time to stop by and follow back.